1. Suitable for a wide range of the tail pipe link. 2. We can make parts with a high degree of flexibility. 4. 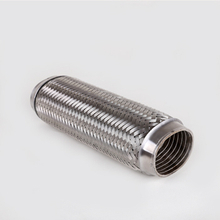 This product is used in exhaust system and high-and low-temperature. 5. It can decrease engine noise and vibration.